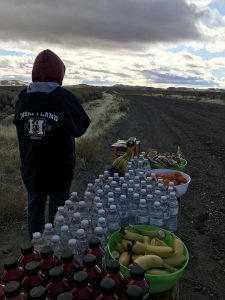 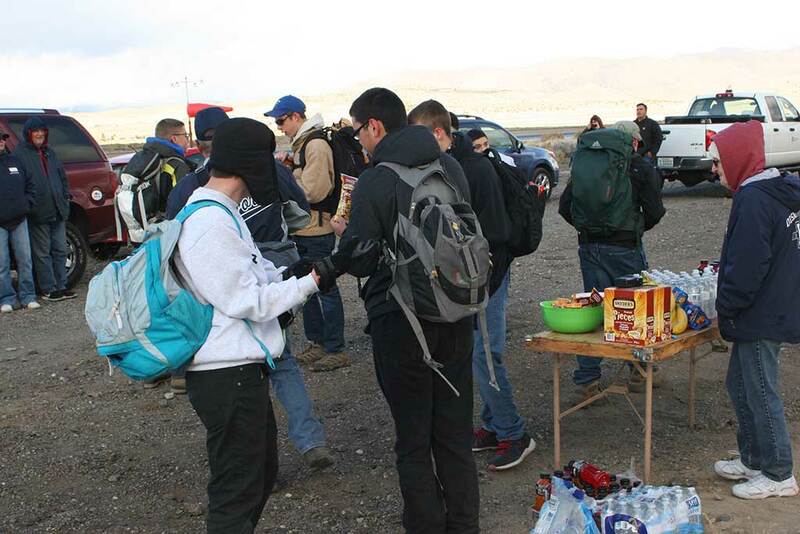 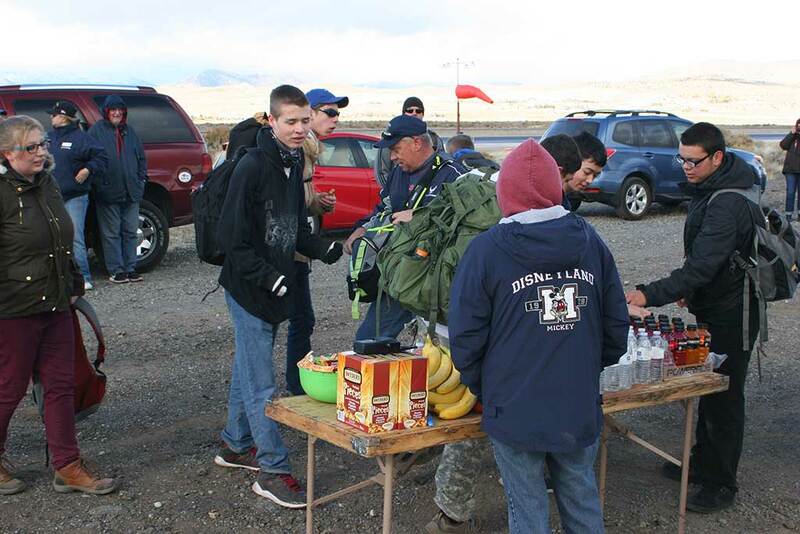 You are here: Home / Chapter Events / Chapter 1361 was a Sponsor of the Stead Ruck March! 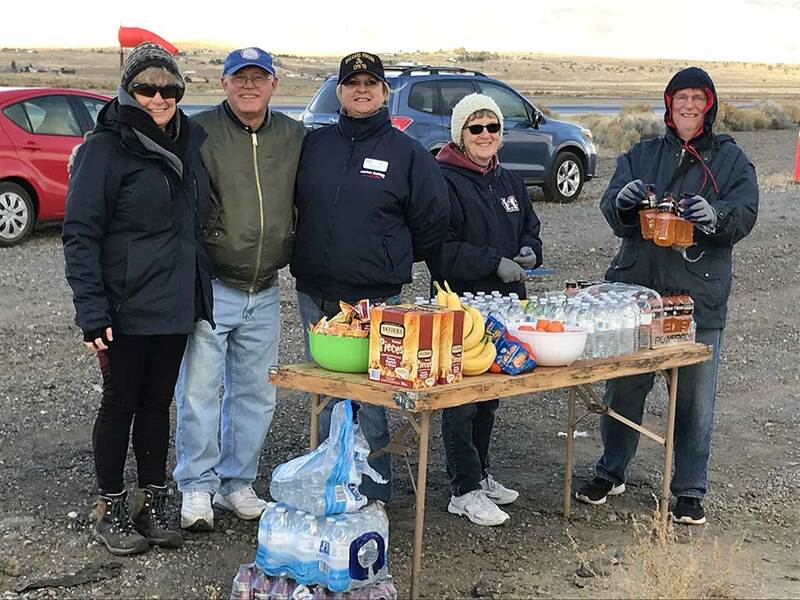 In October 1942, Reno Army Air Base began operations at what was later the 192nd Fighter Squadron, Nevada Air National Guard, and ultimately named Stead Air Force Base. 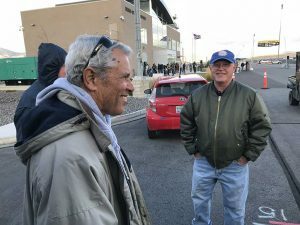 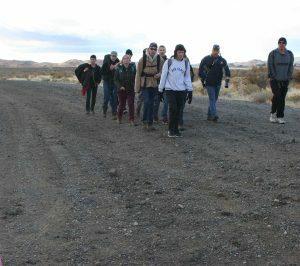 The base was home to the Strategic Air Command’s Survival School, Flying Training Wing (helicopters), and Reno Air Defense Sector. 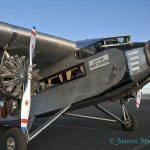 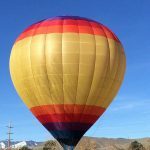 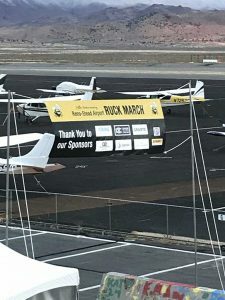 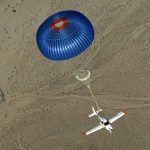 In 1966, after the base was closed, Reno‐Stead Airport began operating as a general aviation airport and is now under the direction of the Reno‐Tahoe Airport Authority. In commemoration of the 75th anniversary of the opening of Stead, the airport held a Ruck March. Ruck Sacks, now called backpacks, were issued to survival school attendees at Stead to be used to carry their belongings on marches (hikes) in the survival school mountain training area. 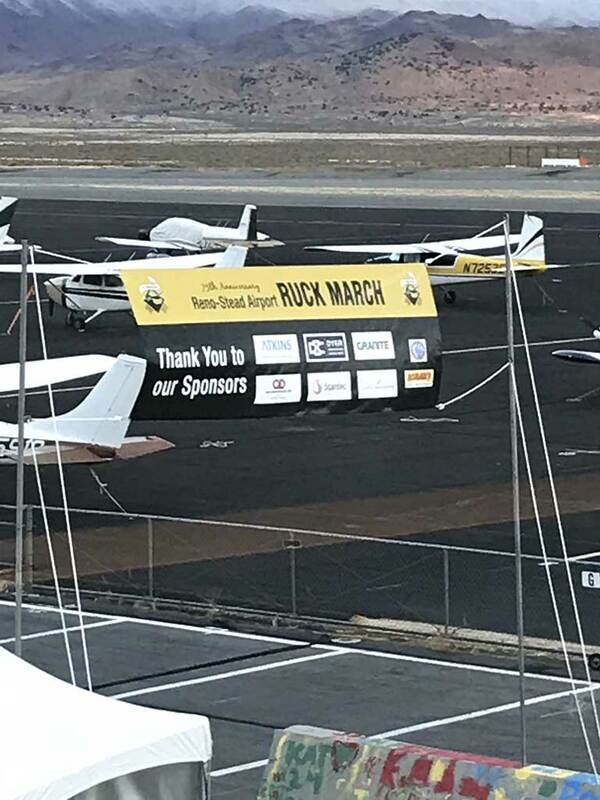 The Ruck March was a walk/run on a 10K (approx. 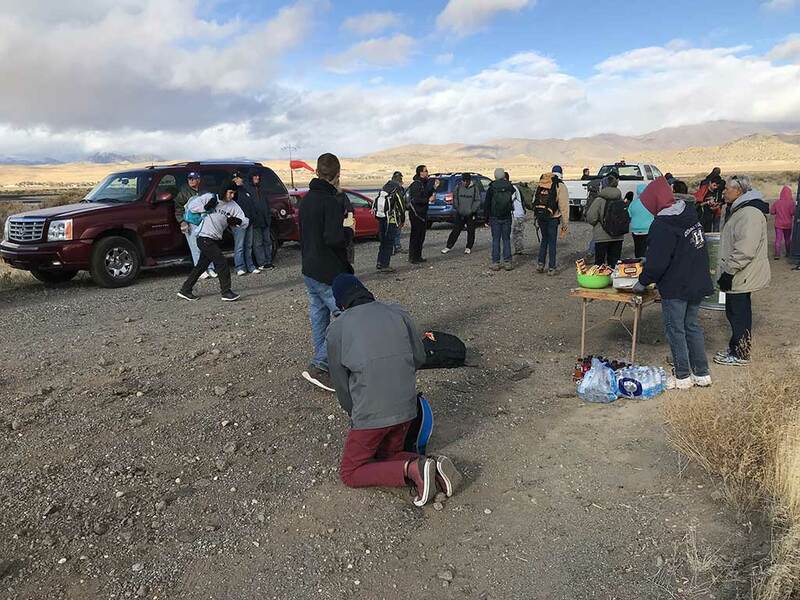 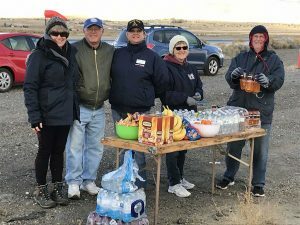 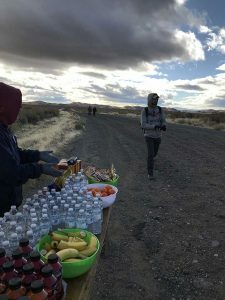 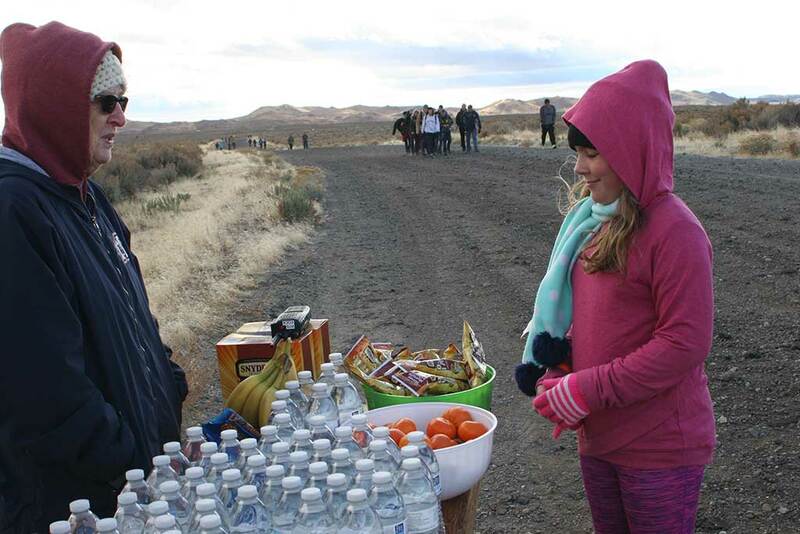 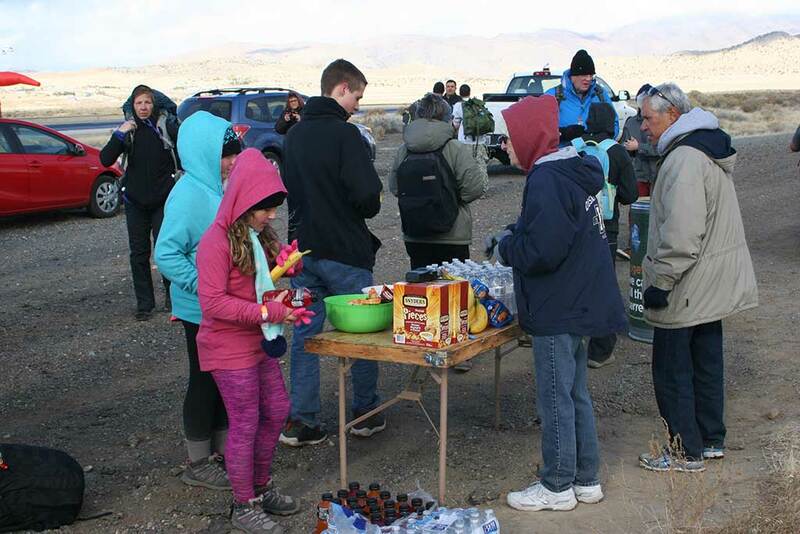 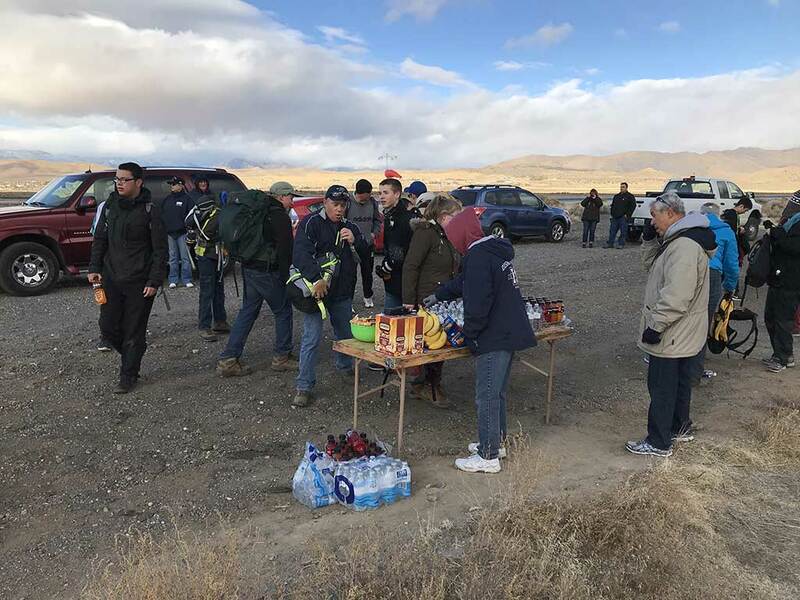 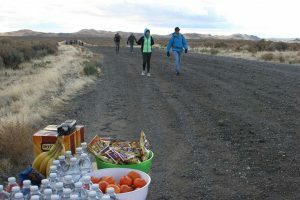 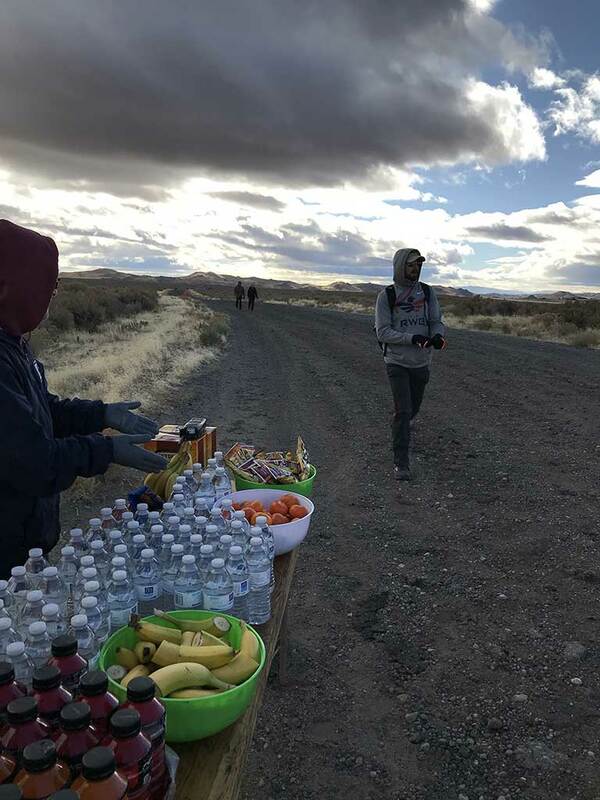 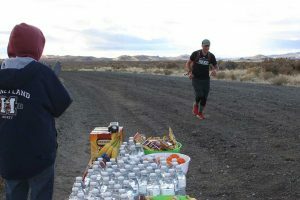 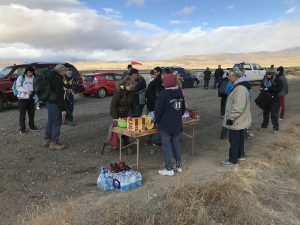 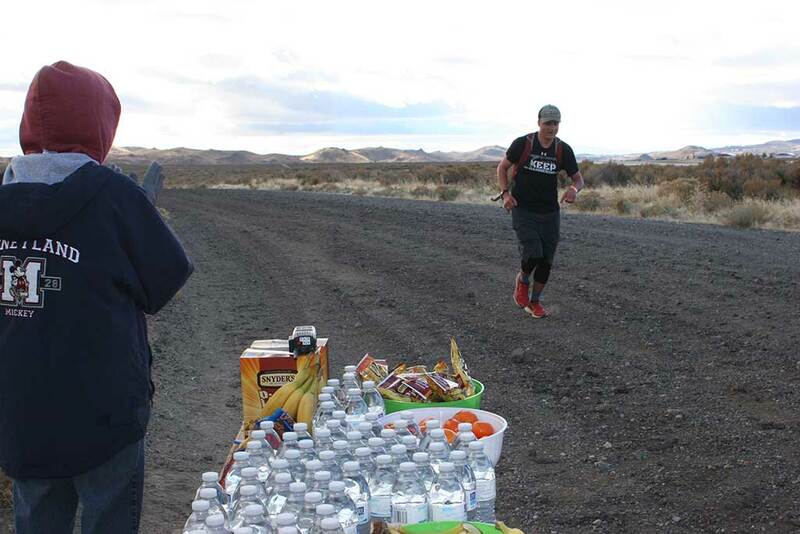 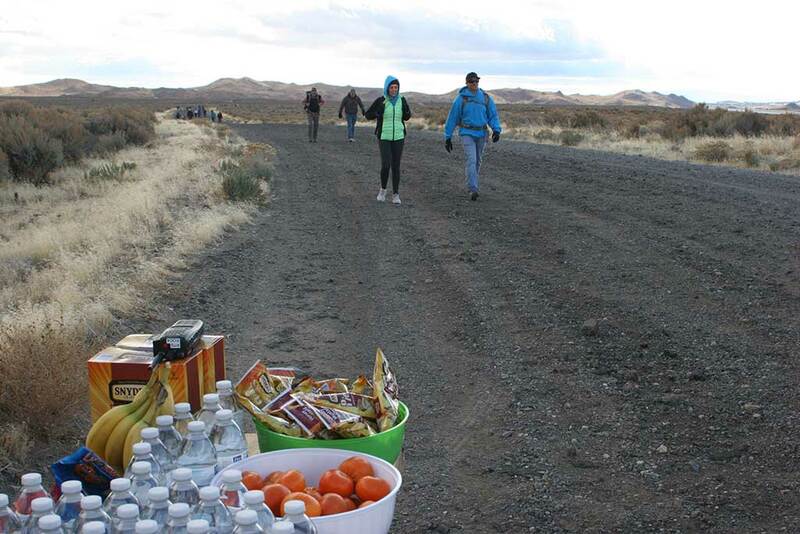 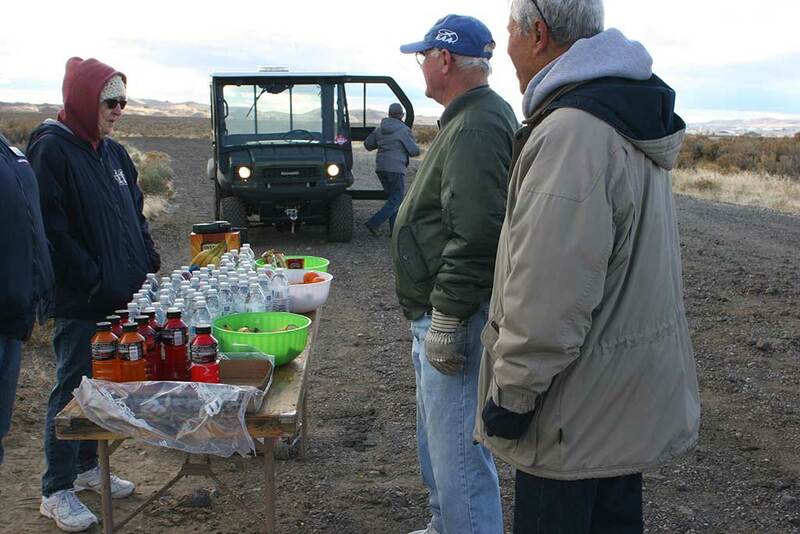 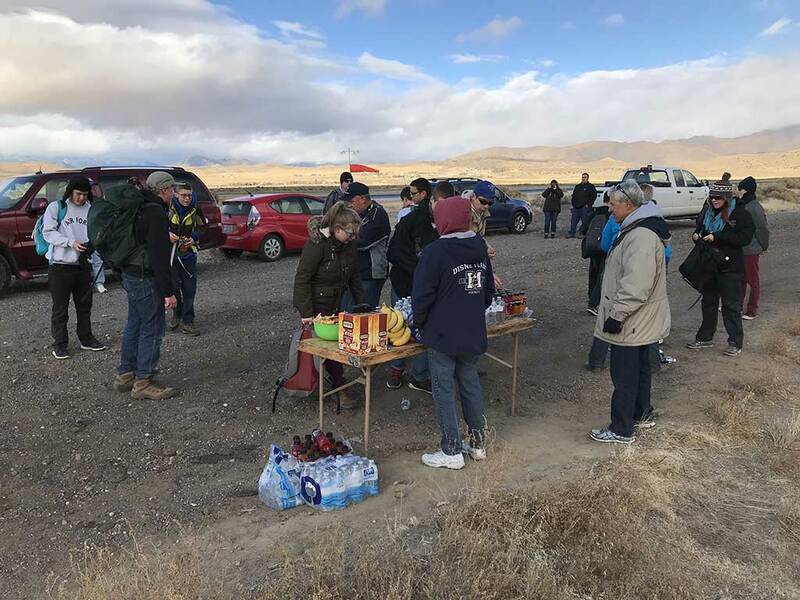 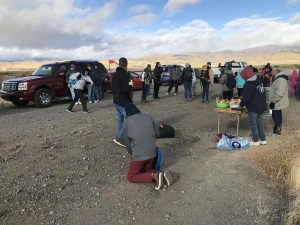 6 miles) course around the airfield for the benefit of the Food Bank of Northern Nevada and the Veterans Guest House. 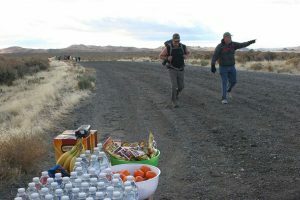 participants could cover the course with or without a rucksack for a $25 registration fee that benefits the Veterans Guest House. 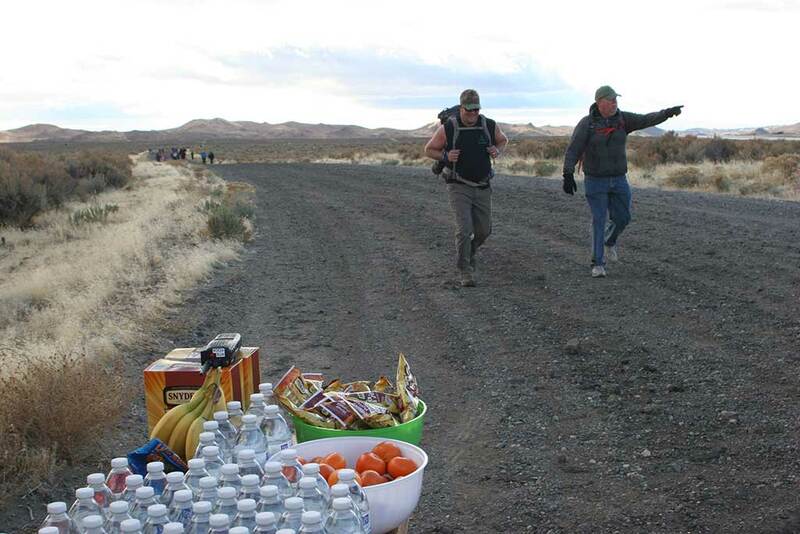 The preferred method is to fill a ruck with non‐perishable food for donation to the Food Bank. 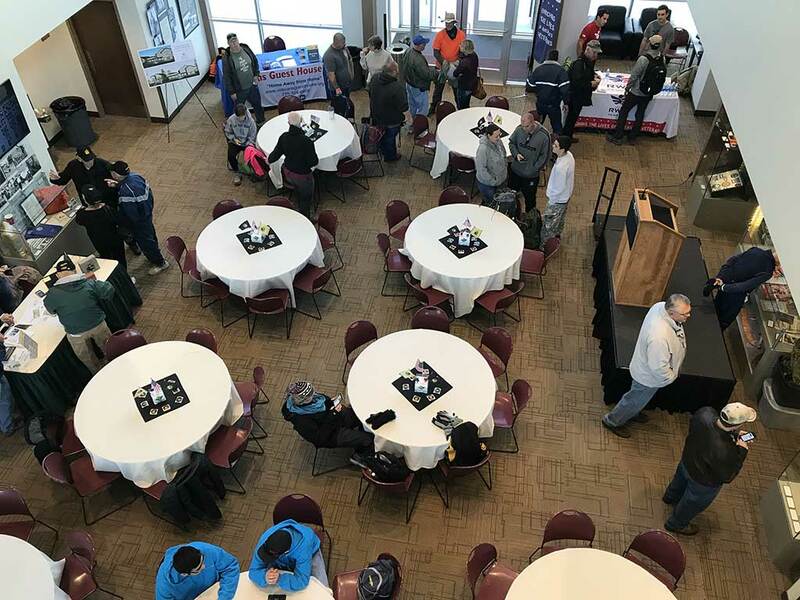 After the event participants were treated to a catered BBQ lunch in the Stead terminal building. 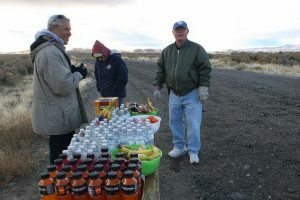 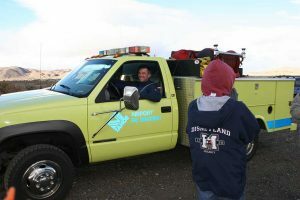 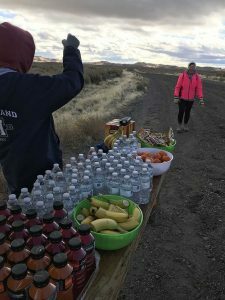 Chapter 1631 was a monetary sponsor and also provided volunteers to work at one of the water stations along the course. 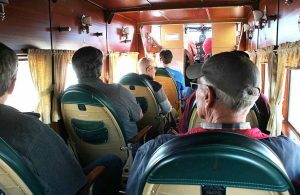 It was a great time for both the participants and the volunteers. 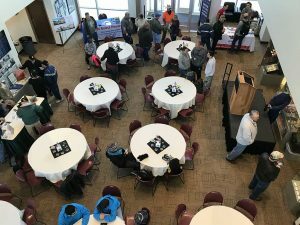 Hopefully this will turn into an annual event for local athletes. 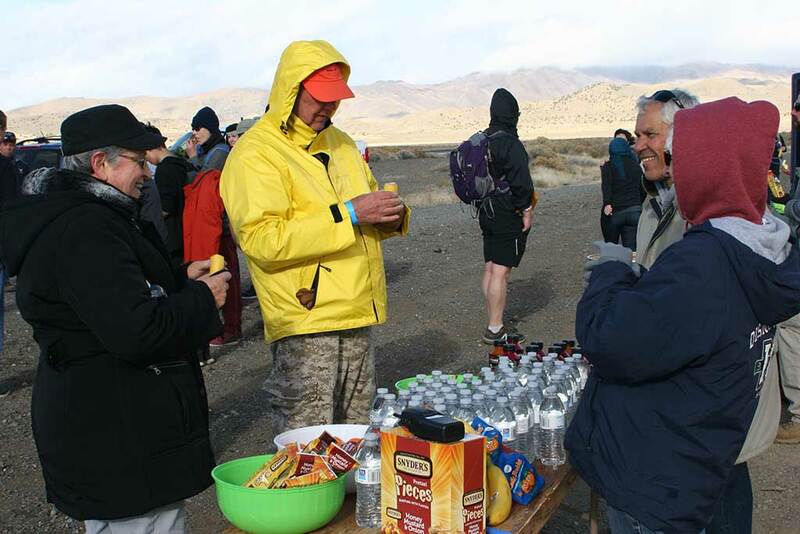 Here are some photos from the event taken by our Chapter photographer, Marsha Pike. Jack and Greg hosting the Chapter Booth at the 2018 SSA Convention in Reno, NV.